Then, in 2015 Felicity started a blog “About That Cancer Thing” and announced that at 33, she’d been diagnosed with bowel cancer. She was young, fit and otherwise healthy so I think we all thought that she’d get through this with her usual quiet determination. In her blog, she documented her treatment and what it’s done to her life, the joy of being able to go for a walk with Dave, their disappointment at not being able to have a family, and the financial impact her treatment and ongoing care has had on their lives. 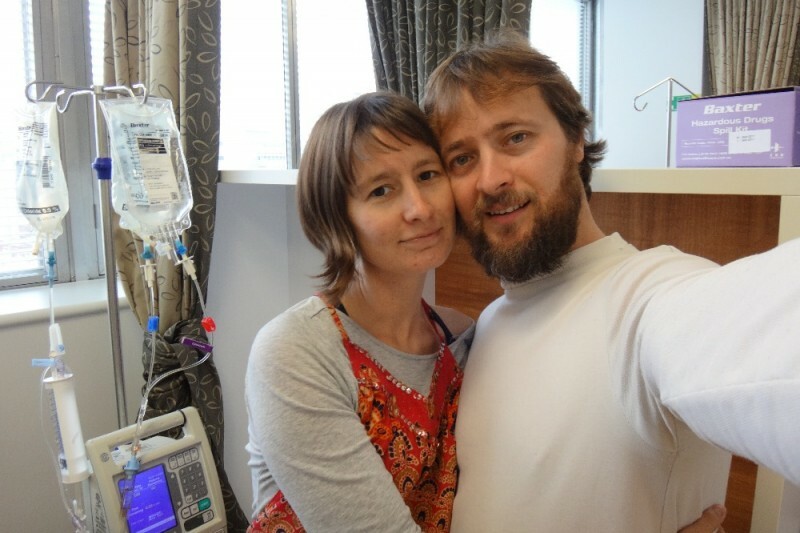 To that end, Dave and Felicity set up a Go Fund Me page to try and see if they could raise money to keep their dream of a family alive and to help with the incredible costs of being so ill.
“You can’t protect people. You can try. But it’s not really protecting them. I thought I was protecting people. Then I wondered if I thought I was protecting myself. But actually I was just delaying peoples opportunity to process the truth. Learning this didn’t really change my behavior though”. Then a couple of days ago, Felicity posted “Wrapping Up” and at the end, a list she wrote some months ago when she was better than she is at present. I urge you all to read it, as it is a wonderful, practical, uplifting and utterly inspirational thing. To the best of my knowledge, Felicity is still at home with Dave and I hope they are enjoying the gentle drizzle of this warm autumn morning. If you can afford to, please donate to help offset some of their crippling medical costs.